The quadrennial mudfest is upon us. Is there any wonder why presidential campaigns have for decades been models of manipulation and deceit? Elections are easy to sway when the majority of the electorate sleepwalks through life. As journalist Walter Lippman observed his 1922 essay Public Opinion, elections are decided not only by "normal members of society"—by whom he meant people who are informed—but by "persons who are mentally children or barbarians, people whose lives are a morass of entanglements, people whose vitality is exhausted, shut-in people, and people whose experience has comprehended no factor in the problem under discussion." 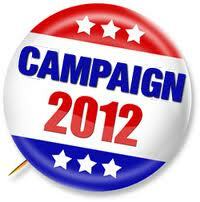 I am certain you'd welcome a substantive debate of political issues this election season as much as I. As propagandist Leni Riefenstahl once said, "Reality doesn't interest me."